Zoo: Keeper Accidentally Shot With Tranquilizer Was NOT In Gorilla Suit : The Two-Way The Loro Parque Zoo in Tenerife, Spain, made headlines after a zookeeper was accidentally hit with a tranquilizer dart. He's doing fine, and the zoo wants to clarify: No gorilla suit was involved. After several news outlets reported that a man dressed as a gorilla was shot with a tranquilizer gun, a zoo in Tenerife, Spain, wants to be clear: There was no gorilla suit involved. Here's a scene out of sketch comedy: A zookeeper dresses up as a gorilla and pretends to escape as part of a training drill, then gets shot by a tranquilizer dart when a vet mistakes the primate costume for the real thing. News outlets around the world picked up that story Thursday. It was said to have happened at the Loro Parque Zoo in Tenerife, Spain, and it didn't have a funny ending. The man was reportedly hospitalized in serious condition, after an allergic reaction to enough sedative to — literally — take down a 400-pound gorilla. But that solemn note didn't negate the fact that there was a gorilla suit involved, and news outlets from New York to Australia fired up their search engines to look for the perfect fake-gorilla photo. "No-one told the vet it wasn't real," said The Daily Mail. 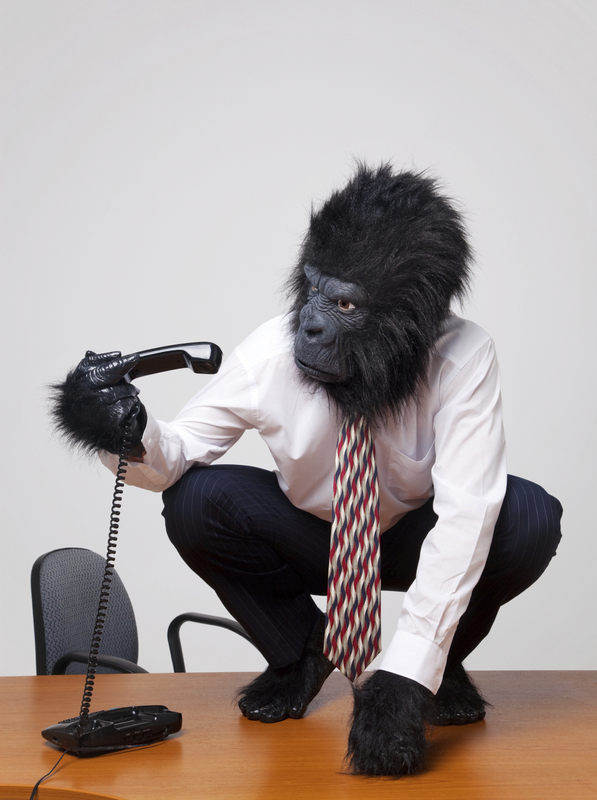 "Gorilla-costume man shot with tranquilizer," read a headline on EuroWeeklyNews. One Canadian radio station went with "Gorilla Suits Are Dangerous!" Alas, it seems the real zoo mishap had nothing to do with a convincing gorilla costume. Spain's El Pais reports that, yes, a zookeeper at Loro Parque was shot by a tranquilizer dart during a training drill — but no gorilla costume was involved. The accident was apparently an example of poor gun-handling skills, not a case of mistaken identity. "During the emergency drill, a call went out to the vets giving them a false warning that one of the five gorillas had managed to escape a safety pen and make his way into another area meant for the animals. When one of the vets arrived on the scene, he was told by the employee in charge of the operation that it was a fictitious emergency. "It was at that moment that the vet accidentally fired the tranquilizer gun, shooting one of the keepers in the leg." The man was taken to the hospital, but the park's head of communication, Patricia Delponti, told El Pais that he is now "in perfect health." The U.K.'s Express quotes Delponti as saying, "Obviously he was sleeping a lot after being shot with a tranquillizer meant for a 200 kg gorilla, but he is now already back to work." So the story does have a happy ending of sorts — but no gorilla suit. "If they told the story in the way it really happened," Delponti told El Pais, "it wouldn't be that funny."